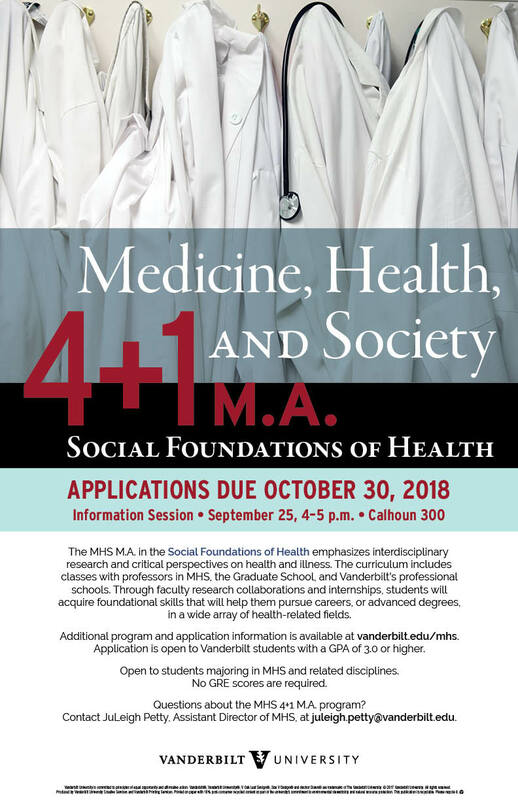 The 4+1 program is available to current Vanderbilt undergraduate students majoring in MHS or related discipines. Accepted students receive registration priority in their senior year in order to complete their BA and begin MA requirements. The MA requires 30 credit hours including up to 6 hours of thesis research. Typically, MHS 4+1 students take 3 to 6 hours of graduate coursework in their senior year. 4+1 students complete the same requirements as students in the MA program. Most 4+1 students engage in research, service learning or internships in the summer between their 4th and 5th year. Students are eligible for the summer research grants and tuition scholarships for MA thesis research. Petition to Apply to the Combined BA/MA (4+1) Degree Program signed by your faculty advisor. One letter of recommendation from an MHS or MHS affiliated faculty member. The letter of recommendation should be emailed separately by the faculty member. 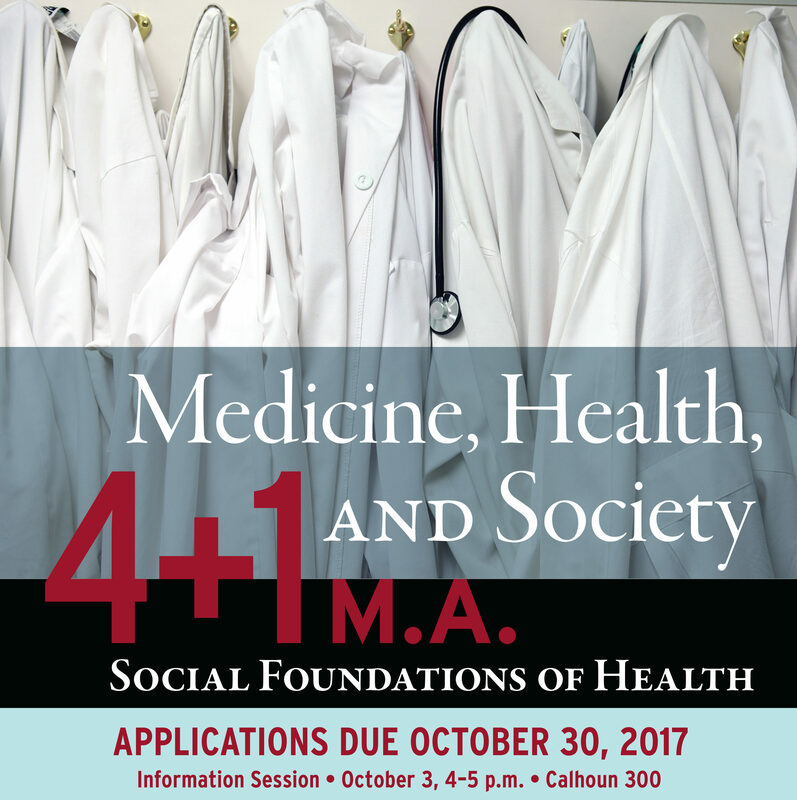 Questions about the MHS 4+1 MA program? Contact your MHS adviser or Dr. JuLeigh Petty, Assistant Director of MHS, at juleigh.petty@vanderbilt.edu.